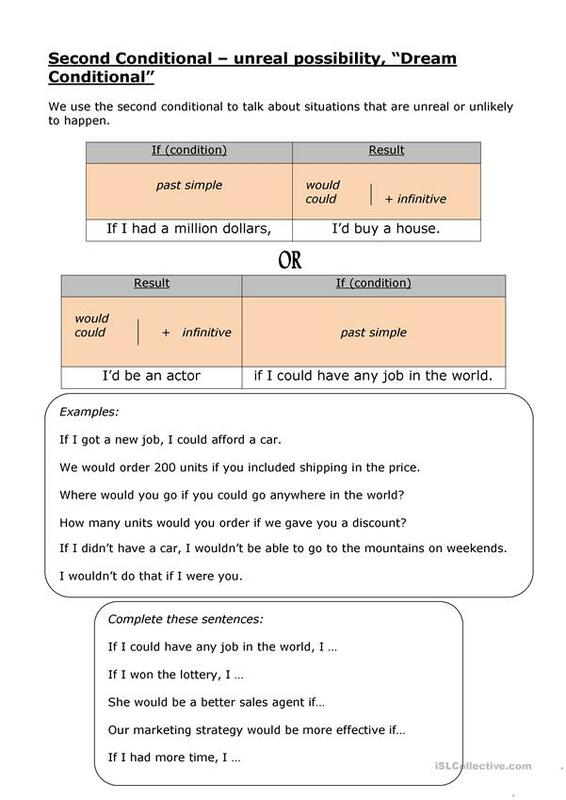 A pdf worksheet to introduce the structure of conditionals 0 to 3 and short sentence completion exercises to practice. The worksheet first gives structure and grammar, starting with 'If' or the result clause, then examples, then complete the sentence exercises for practice. 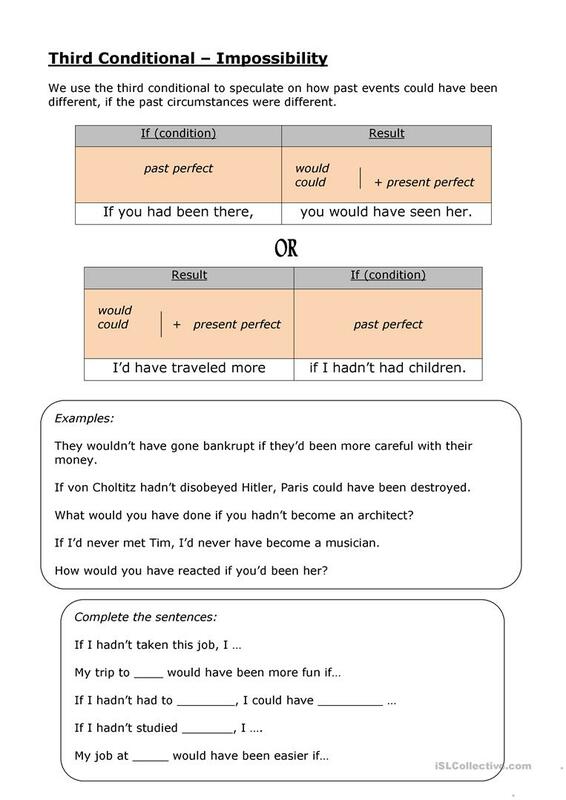 Good for one-to-one or big classes. 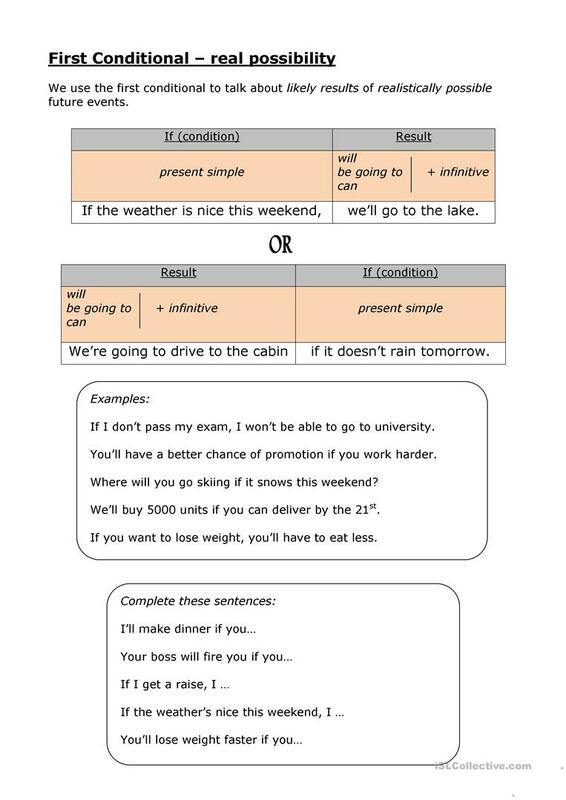 The above downloadable teaching material is a great resource for business/professional students, high school students and adults at Pre-intermediate (A2), Intermediate (B1), Upper-intermediate (B2) and Advanced (C1) level. 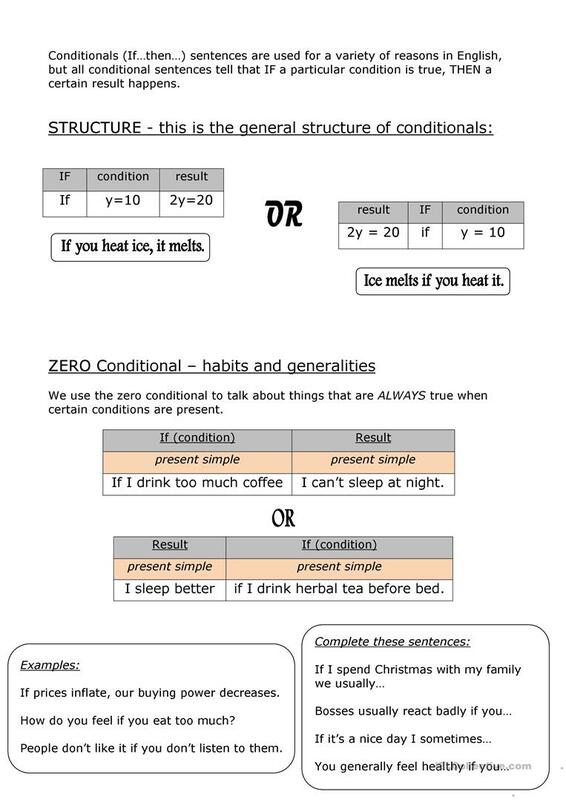 It is valuable for teaching Conditional 0 (zero), Conditional I (first), Conditional II (second) - would, Conditional III (third), Conditionals and Conditionals - Mixed conditionals in English, and was designed for strengthening your class' Spelling, Speaking and Writing skills. Almost nine years ago I moved from Paris to the French Alps and have been teaching English here ever since. From primary school to university, as well as business/professionals. In my down time I hike, cycle to lakes, read, and take in as much wine and cheese as possible.